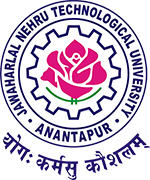 JNTUA B.Tech 4-1 Semester (R09) Supplementary Exam Results June 2016, jntua 4-1 sem R09 results, 4-1 sem supply exam results 2016. The results of following B.Tech (R09) Supplementary June 2016 Examinations are declared. The results are available in the University Examinations Results Portal at http://jntuaresults.azurewebsites.net. The candidates who wish to apply for recounting of theory external marks / challenge valuation / photocopy of answer script should submit the requisitions to their Principals along with the attested statement of marks with necessary fee on or before : Not yet Issued.